You can rely on British Weather! Driving rain. A thunderstorm. But not even the inclement weather could deter 29 hardy enthusiasts competing for the Midland Open Mini-Golf title, at Solihull’s Four Ashes Golf Centre. Michael Smith, from Oxford, won the tournament for the fifth time in six years; the first time it has been held on the Adventure Golf course. Competing against players who had come from as far afield as Wales, London and Leeds, Michael carded rounds of 37, 36 and 35 for a three-round total of 108, three shots ahead of four players who carded 111, including the defending champion Rocky Bullin. “Obviously I’m delighted to win the title again, but the real winner on the day was the weather, and this year’s Midlands Open will live long in the memories of those attended because of that,” said Michael, who is also a member of the management committee of tournament organisers, the Midlands Mini Golf Club. “The thunderstorm and heavy rain in the opening two rounds tested both the players and tournament organisers to the limit, and it was a close call as to whether the tournament should start, and then whether it should have been abandoned. “Given the long distances that a lot of players had travelled to attend the tournament, I think the organisers owed it to them to try to complete the tournament. And the organisers were fulsome in their praise of Four Ashes Golf Centre. The tournament had been previously held on the old mini-golf facility at Four Ashes, but this was the first time they had used the Adventure Golf course since it opened two years ago. 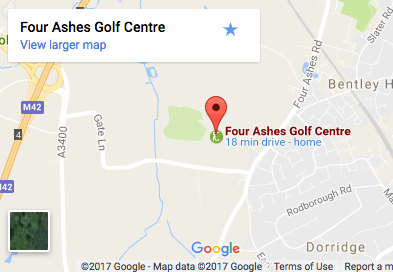 “The staff of Four Ashes made us so welcome, and everyone loved playing the Adventure Golf course, despite the rain,” said Michael. What age is a good age for children to start playing golf?